Stampin’ up announced their carryover items from the Occasions mini that will also be available now and in the new catalog. Mixed bunch and the matching blossom bouquet punch will both be available! 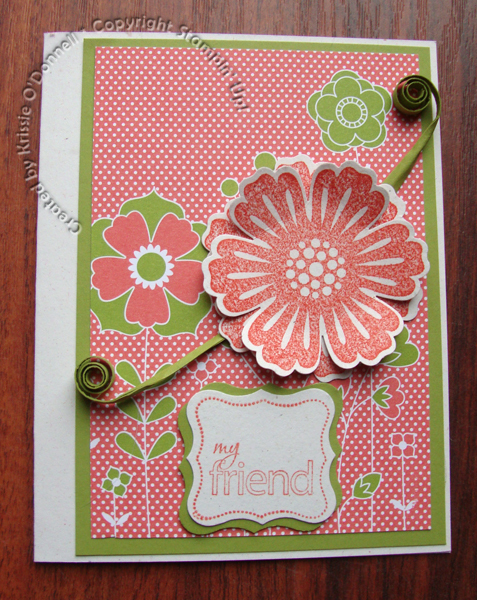 I also used a technique called “quilling” in a very small scale… I wrapped the vine-like lucky limeade cardstock strips around a file from my distressing essentials kit. Gotta love swirls! ← Welcome to my Stampin’ Up Team!